Kate has been working in education since she left university. She began her career as a Teaching Assistant in North Liverpool and went on to teach English in West London and Bristol. Working in the South West helped Kate to understand the unique challenges that rural schools face. She therefore went on to join the civil service and work in the Office for the South West Regional Schools Commissioner (Department for Education). There she gained experience delivering central government policies in rural communities. She worked with education providers and Local Authorities to deliver new schools. Her work particularly focussed on the delivery of special free schools through the LA commissioned special free schools route. Since joining LKMco, Kate has applied her experience and knowledge of delivering government policies to her research. For instance, she co-authored Building Trusts: How do you run a Multi-Academy Trust and blogs regularly about the relationship between social research and government policies. 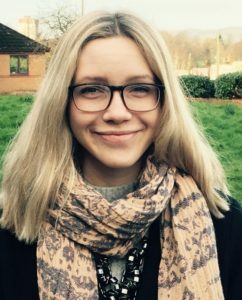 Kate is particularly interested in how qualitative research can inform education policy and is undertaking a MSc in Policy Research at Bristol University. Her dissertation will focus on girls’ experiences of menstruation in education settings.